Sometimes you have to start out with big goals. Ninth-graders [Finja Schneider] and [Myrijam Stoetzer] are aiming to make a magnetic field scanner that would be helpful in finding large underground metallic objects, like unexploded WWII bombs that pose a real threat whenever a new parking garage is excavated in Germany. But even big goals have to start out somewhere, so they’re gaining experience with the sensors and the math necessary to recreate 3D magnetic flux vector fields on household objects like sawblades and magnetized screwdrivers. For their science-fair project, [Finja] and [Myrijam] took a mid-80s fischertechnik “toy” 2D scanner kit, mounted a 3D magnetic sensor to it, and wrote some firmware to scan around and pass the data back to a computer where they reconstructed the field lines and made some nice visualizations. Along the way, they tried a number of designs, from a DIY chassis on carbon-fiber rails to sensors with ferrofluid. 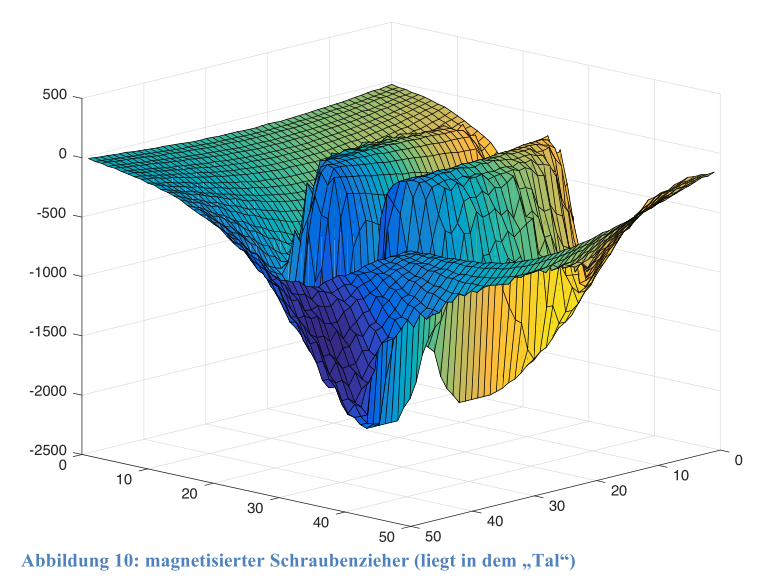 They document their successes and failures equally nicely in their lab report (PDF, German). You can get a lot of the gist, however, from [Myrijam]’s blog and their Hackaday.io entry. You might also recognize [Myrijam] from her work with [Paul Foltin] on their eye-controlled wheelchair interface. These are some really cool projects! We’re excited to see how they develop, and are stoked that the future of hacking is in such capable hands.